Reference the detailed documentation and requirements from Segment here. Adding Friendbuy as a Source to Segment is a surefire way to elevate analysis of your referral program performance. Friendbuy will automatically send referral events and important metadata to Segment. These events can be passed to your Segment Destinations such as data warehouses and analytics tools. Joined with data from other marketing programs, you can start telling a unified story of each customer’s journey and tailor your reporting to the KPIs. 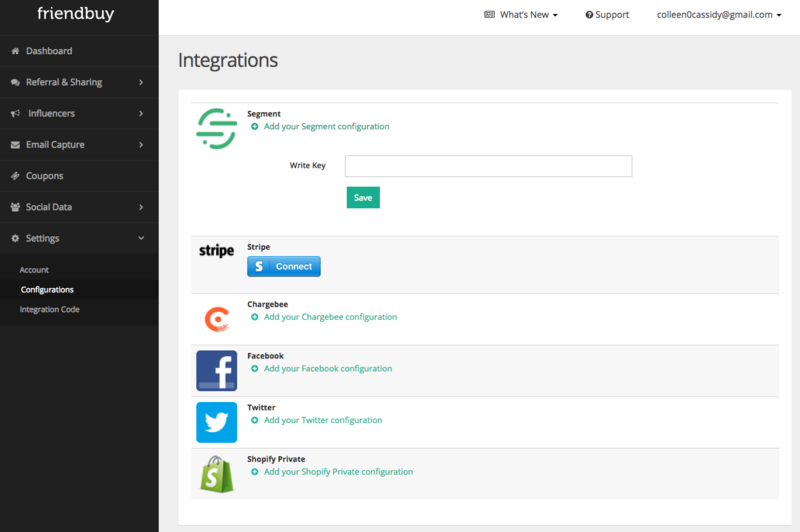 View Segment's documentation detailed integration guide. From your Sources page in Segment (app.segment.com//sources), click Add Source. Give the Source a nickname. The nickname will be used to designate the Source in the Segment interface.